I really need to get to some posts. 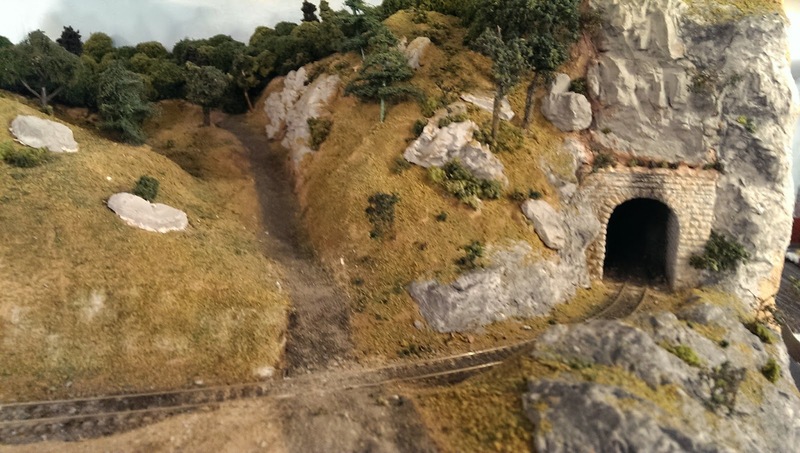 But here's a revisit to the same location as the last post, the logging line on Harvey's layout. Joseph (and his Mom!) have both been helping at Harvey's. 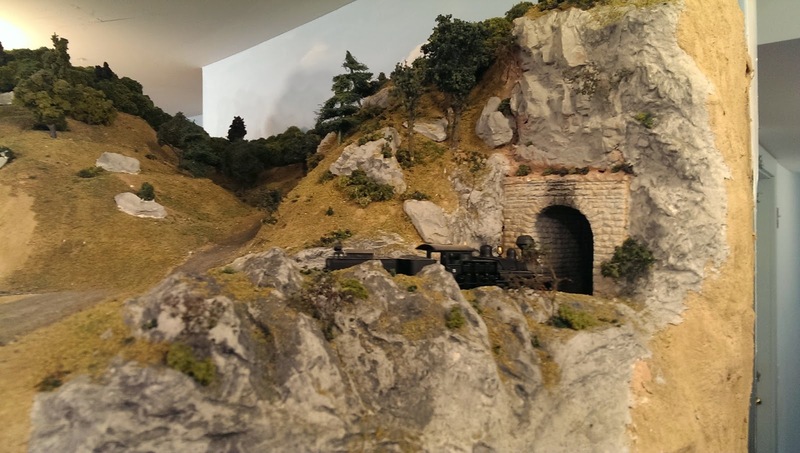 We've been making a lot of puffball trees, and working on the scenery. Joseph did the trees and some of the scenery here, including installing the rock casting above the portal. I completed more of the scenery, including my first attempt at hand carving Sculptamold rocks. I'm really happy with the way they've come out, and pretty happy with how they blended into the rock mold.